The Forum has partnered with Acclaim, to provide you with a digital version of your credentials. Digital badges can be used in email signatures or digital resumes, and on social media sites such as LinkedIn, Facebook, and Twitter. The digital image contains verified metadata that describes your qualifications and the process required to earn them. The technology, based on the Open Badge Standards, enables you to manage, share and verify your competencies digitally. Representing your skills as a badge gives you a way to share your abilities online in a way that is simple, trusted and can be easily verified in real time. Badges provide employers and peers concrete evidence of what you had to do to earn your credential and what you’re now capable of. Acclaim also offers labor market insights, based on your skills. You can search and apply for job opportunities through the Acclaim platform. Where and how can I share my badge? You will receive an email notification from Acclaim with instructions for claiming your badge and setting up your account. You can easily configure your privacy settings in Acclaim. You’re in complete control of the information about yourself that is made public. If I have questions about the Acclaim platform, who should I contact? For technical support, visit support.youracclaim.com. 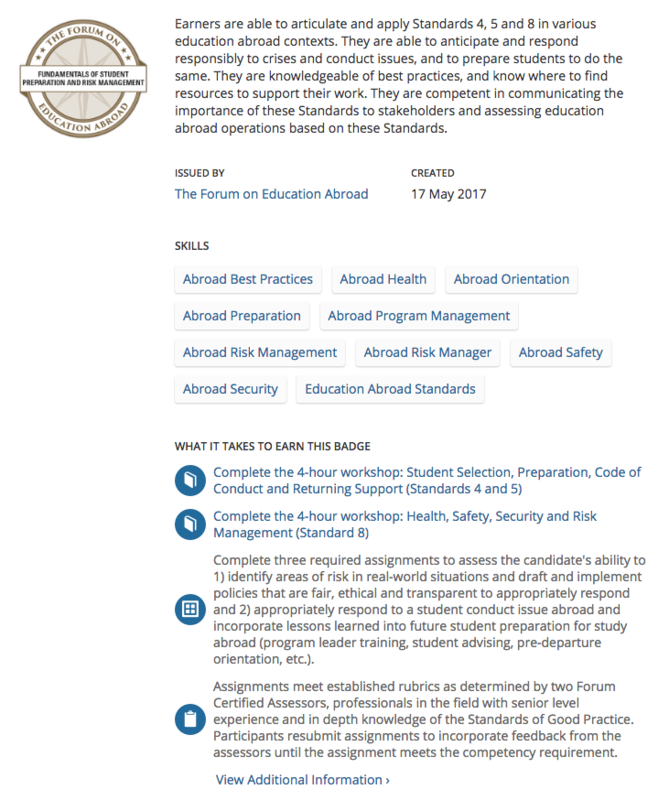 For questions about the Competency Program, contact certification.forumea.org. Below is a sample of the information contained in a badge.